As I step into MAS Active-Leisureline, a Fair Trade Certified factory that makes Patagonia products near Colombo, Sri Lanka, the first thing that confronts my senses is the sound. Row after row of clamorous cutting and sewing machinery is being operated by a few hundred workers, all dressed in bright green uniforms and working under white florescent light. Sri Lankan music competes with the machinery for acoustic dominance on the factory floor. I’m standing in the midst of the racket to understand more clearly where our surf gear comes from, who makes it and how the workers are treated. 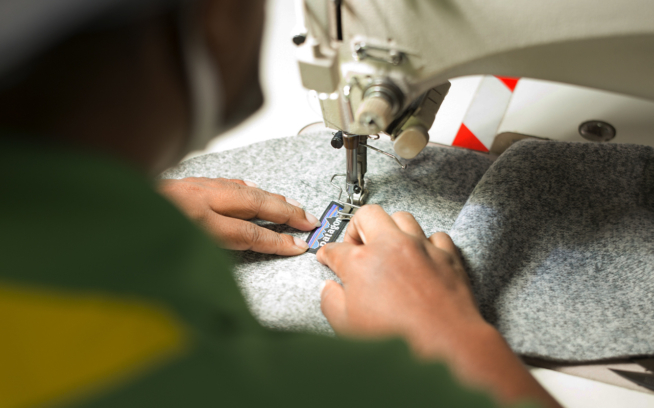 For a long time now, there’s been too little transparency in the garment industry. 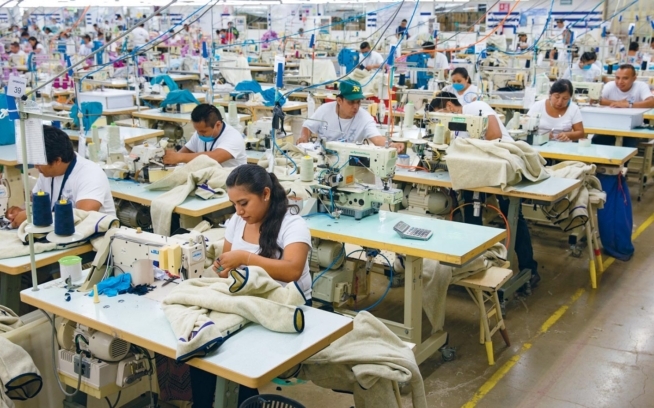 When we buy clothing, we’re often oblivious to the reality of how it was made—not to mention the true human and ecological costs of the manufacturing process. But having been embedded in surf culture and the surf industry since I was a kid, I’d always wanted to know if we were doing the right thing by the people who make our gear. Could we be doing better? I’m sure many other surfers have asked the same question, but there were never any real answers available; the reality of how most gear was made was simply too uncomfortable to put out there. 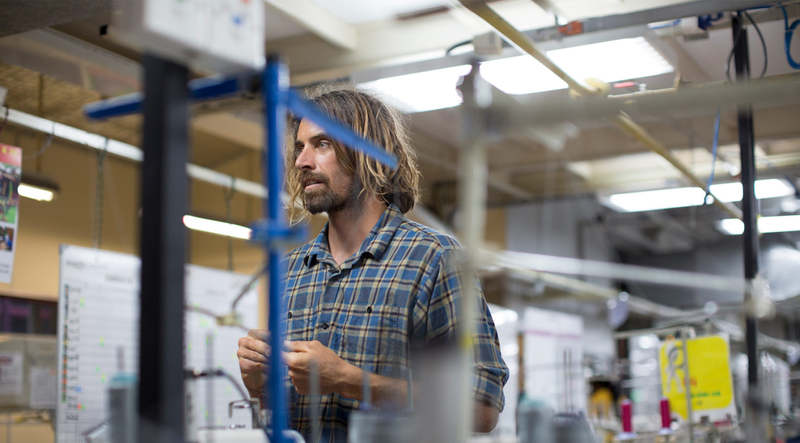 Patagonia is taking new steps in the surf world by going the extra mile to do the right thing—making as many surf products as possible in Fair Trade Certified facilities. Now, traveling here to Sri Lanka, I’ve been given the chance to witness what Fair Trade looks like on the ground. I’m curious what kind of peace of mind it can bring to consumers at the end of the process—and what kind of peace of mind it can bring to me. Inside the work room, my first thought is “Wow, if this is a Fair Trade factory, and the working environment is this intense, and that song keeps on playing, I can’t imagine how radical other factory spaces must be.” But even though the big room is noisy, it’s clean, and the air is cool and easy to breathe. The factory manager, Chandana Bandara, starts our tour at the beginning of the production line, where a garage door is pulled up to reveal a truckload of fabric rolls. The rolls are placed into a machine, and the fabric is unrolled at a pace that allows a worker to scan the material for imperfections. This first procedure clearly demonstrates to me how, from the very beginning, making clothes is not an automated process. It requires real people with real skills. A man named Chaminda is in charge of the fabric inspection, and his eyes dart back and forth over the roll of fabric, marking tiny blotches I can’t even come close to spotting. He’s dressed in the factory uniform but is sporting a shiny pair of steel-capped, pointed-toe, black leather shoes. He catches me staring at them and laughs, then shoots a double eyebrow lift and Sri Lankan head wobble my way before resuming his side-to-side scrutiny of the fabric. “Smooth operator,” I say to myself. The next step is the process of printing art onto the fabric, which showcases the precision the next team of people must have to place the art perfectly with the correct color distribution. A few minutes into the tour, my preconceptions are already being deconstructed. I’d thought that modern factories were largely mechanized, but I’m seeing that garment manufacturing depends on the talents of humans. The hand-eye coordination of the workers leaves me in awe, and I soon develop a newfound appreciation of the work they do. I’m also finding that they do their jobs amidst laughter and wisecracks—and when I try to re-create the head wobble greeting, they laugh some more. The tour continues all day, and at every stop it’s obvious that highly skilled labor is central to making the surf shirts, board shorts and other gear we use in our lives outdoors. At one point, I watch 12 different women expertly handle a single shirt in just one part of its journey to completion. The factories we rely on, just like the one we’re standing in, aren’t just full of machines, they’re full of people. People who laugh, cry and sweat. People with families, histories and futures that have been overlooked by the industry for far too long. This is where Fair Trade comes in as a disruptor: It extends a sense of value, acknowledgement and respect to members of the human family who are often pushed to the margins. And the benefits aren’t just conceptual: At MAS, the workers show us pictures of a recent celebration when their Fair Trade premium money was used toward daily staples, a choice made by the democratic workers’ committee. The stoke on their faces was plain to see as they told the story of receiving a 50-kilogram delivery of rice, baby formula and flour, paid for out of their benefit fund. For an industry that has much room for improvement, this is what the start of doing better looks like. For me, learning about Fair Trade is also a reminder that social and environmental issues are closely tied. When a young girl recently asked Patagonia founder Yvon Chouinard why he cared for nature, he was quoted as simply saying, “Because I’m part of it.” There’s no barrier that divides our living, breathing bodies and the living, breathing ecology that sustains us; our symbiotic relationships within the biosphere show that caring for each other, human to human, is also caring for ecology. So doing better socially is doing better ecologically, too. Being surfers, climbers, hikers, sailors—or simply people who sit still long enough to watch the sunrise or hear the birds call—we’re often offered glimpses into these interconnected relationships in nature. It’s a joy in those moments to extend our sense of self. In this same way, Fair Trade extends a sense of acknowledgement and respect to the people who make, or harvest, the things we buy. Later on, walking out of the factory at sundown, I watch the workers leave for home. The machines inside are still and quiet as groups of friends huddle together, laughing and no doubt looking forward to getting home to their families. I look down at the shirt and shorts I’m wearing and realize how, through my entire life, I’ve worn clothes made by other people without really giving those people a second thought. Now, the shirt on my back has a story. But in truth, our clothes always have had stories—they just weren’t always ones we were proud to tell. Fair Trade changes those stories into ones that we need—and even want—to hear and share with each other. Now that we know better, I think to myself, it’s time we do better. This story first appeared in the 2017 Patagonia Surf catalog.